Salvador Ortega is an ASU Online student with Arizona State University's College of Public Service and Community Solutions who lives in Franklin, Tennessee. 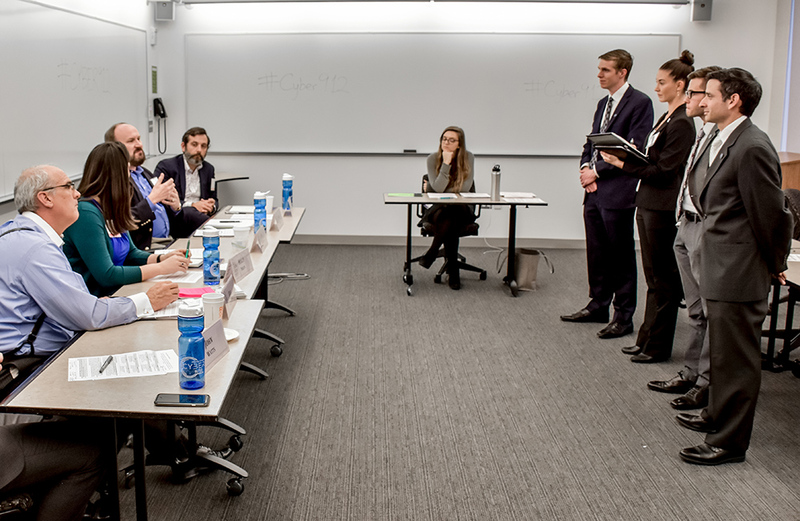 But that didn’t stop him from joining ASU students from the Downtown Phoenix campus to compete in the Cyber 9/12 Student Challenge, a national competition where students develop and defend policy recommendations to resolve a cyber attack with global implications. “It can be hard at times to feel like part of the ASU campus and experience,” said Ortega. “But, participating in the 9/12 competition on campus, and then in Washington, D.C., gave me a chance to truly work with fellow ASU students, visit the campus and understand what "Fear the Fork" means." “Fear the Fork” is a phrase used by ASU students and alumni to show school pride. Ortega’s teammates benefitted from his experience. The 39-year-old is an IT professional who specializes in cybersecurity. But he credits his teammates for the knowledge they brought with backgrounds in public policy. A graduate student in emergency management and homeland security, Ortega enjoyed working using collaborative technologies to tackle the problem presented by the competition. He also admired seeing how next generation leaders work through problems. The most difficult part of the experience came when Ortega and his teammates advanced to the semi-final round of the Cyber 9/12 Student Challenge. New elements were introduced that forced them to adjust their analysis and recommendations overnight. “I'm older and I can't do an all nighter like the 20 something-year-olds," Ortega chuckled. "I need my old man sleep." Ortega hopes more online students consider joining the competition. Students must pay their way to Phoenix for a preliminary event that determines which teams from ASU will compete in the national event. Information on how to enter and upcoming info sessions can be found at https://publicservice.asu.edu/content/cyber-912.